Following the success of the first Antwerp Diamond Trade Fair in February 2010 held at the 105-year-old Antwerp Diamond Bourse (Beurs voor Diamanthandel), this year the Diamond Club of Antwerp (Diamantclub van Antwerpen) is also making its trading hall available for exhibitors at the second edition of the show next year. As a result of the participation of Antwerp’s second-largest bourse, there will be 50 percent more exhibitors at the 2011 event, being held from January 30 to February 1. 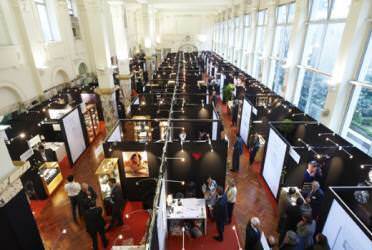 More than 60 leading Antwerp diamond firms will exhibit in the two adjacent, elegant and spacious trading halls. The inaugural show, with the support of the Antwerp World Diamond Centre, saw scores of diamond buyers from high-end, European jewelers firms attending the exclusive, by-invitation only event staged in the historic trading hall of the Antwerp Diamond Bourse. The show, the first of its kind anywhere in the world, successfully connected buyers with Antwerp diamond companies who can supply their specific requirements. Antwerp is a logical venue for such a show. 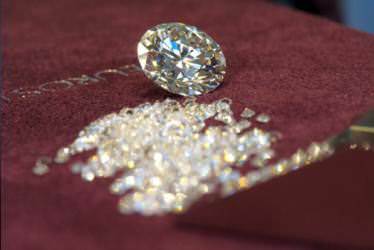 The city is the world’s leading diamond trading centre, servicing buyers and sellers from all over the world who are either based in the city or frequent visitors. 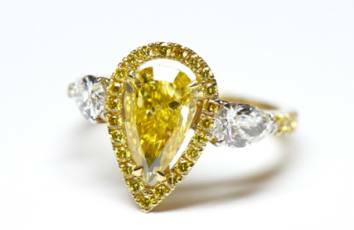 More than 50 percent of the world’s polished diamonds are traded in the city, and no other centre is able to provide a larger and more varied selection of diamonds.